Across the Sunshine Coast, there is a demand for security solutions that offer solid protection and look great. Unfortunately, such products can be hard to find with substandard, mass-produced security doors and grilles being the most common. These generic designs can often have your home looking and feeling like a prison, with poor quality that simply will not offer adequate protection and security. Here at Dean Wilson Iron, we are familiar with the challenge faced by Sunshine Coast homeowners and we have developed a great solution: handcrafted, wrought iron security doors. 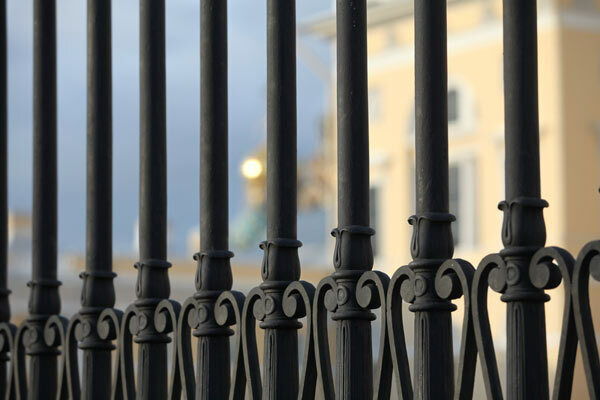 Wrought iron has a timeless elegance that is unmatched by any other material and it is perfect for security installations, as it is incredibly strong and durable. The elegance of wrought iron comes from its malleability and rustic finish; it is easily crafted into striking and intricate designs that can be tailored to suit homes of all varieties. The strength of wrought iron ensures that it cannot easily be broken or bent, which means that it will offer your home fantastic security. Wrought iron’s durability makes it great for use in the harsh climate of the Sunshine Coast, as it means that any security doors or grilles fitted to the outside of your home will maintain their immaculate finish, regardless of the weather. 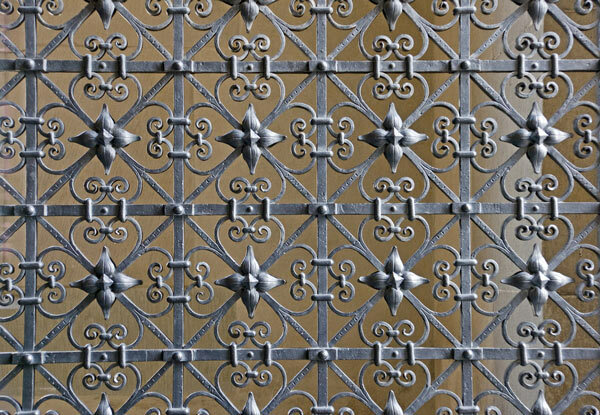 At Dean Wilson Iron, we have a team of experienced blacksmiths for whom wrought iron security doors are a specialty. We have been working with wrought iron for many years and we are well equipped to create the most stunning and unique wrought iron security doors in the Sunshine Coast. We believe that all homeowners deserve uncompromising security that will not have a negative impact on the visual appeal of their homes. Because of this, we work closely with each of our clients to establish the perfect designs that both protect homes and look great. Our foremost priority is to create security solutions that combine leading edge designs with the strength and durability of wrought iron, for a functional and practical security door that will enhance the design features of your home. We like to explore a wide variety of design concepts with you to ensure that the design of your door reflects your own personal visual preferences, as well as your security requirements. We can undertake jobs of all shapes and sizes – our focus is centred on meeting your needs. At Dean Wilson Iron, we believe that the best security will not only deter intruders from your home, but also complement your home’s design and contribute to a welcoming and appealing ambience. To do this, we strive to develop products that are secure, long lasting and aesthetically appealing. To ensure the upmost in security we work with you to ascertain your exact security needs, so that we can target the design and construction of your door at meeting these needs. Each of our jobs is undertaken with stringent attention to detail and our expert blacksmiths carefully handcraft your security door or grille to an unrivalled standard of quality. We understand that rust and corrosion not only look bad, but also compromise the strength of your security door. That is why we apply a number of protective layers to the metal, which guarantees you an immaculate finish that will stand up to all weather conditions without rusting or corroding, meaning your door can last you for decades. We pride ourselves on having a solution for every homeowner on the Sunshine Coast and to do this, we offer a wide variety of options for our security doors and grilles. Each of our handcrafted security installations can be customised to meet your exact specifications, which means that your options are endless. Wrought iron’s timelessness can add an air of prestige to your home, but this does not mean that it won’t go with more modern houses. In fact, we can make wrought iron security solutions for homes of all designs; whether it is a classically design brick home, a more contemporary new home, or anything in between. We have tailored our services to include wrought iron security installations that can be fitted to porticos, entryways, window grilles, bi-fold doors and even glass backed front doors. Uncompromising security, backed by the strength of wrought iron. The timeless and visually appealing elegance of wrought iron. An immaculate finish for the upmost in aesthetical appeal and durability. A security door or grille that is customised to suit your needs. To ensure that your wrought iron security door or grille is perfectly suited to you and your home, we have developed a service process that accounts for each of your needs. Here at Dean Wilson Iron, our clients are at the centre of our focus and we strive to create security products that are customised to both your security needs and the design features of your home. To being the process, we engage with you to discuss your needs in detail. We like to guide you through the process and explore all of your options thoroughly so that we can generate the optimum design that meets your visual needs and your practical requirements. We see this discussion as an informative measure to ensure that you are well positioned to assess your options and work with us to create a perfectly targeted product. During our initial consultation we can also discuss some basic measurements to get an idea of how big your door or grille needs to be. With these basic measurements and some design information, we can provide you with an approximate quote so you are aware of the costs involved. Once we have covered some basic information during the consultation, we can move on to the specifics. This involves a more precise measurement of the site at which your security door or grille will be installed. This will give us a clear picture of what you need and following this, you can decide upon the final design that will best fulfil your requirements. Your design options are endless and to ensure that you get the most functional and visually appealing design, we will guide you through the design phase. We have had a great deal of experience working with wrought iron and are well positioned to offer you insightful advice during these preliminary stages. 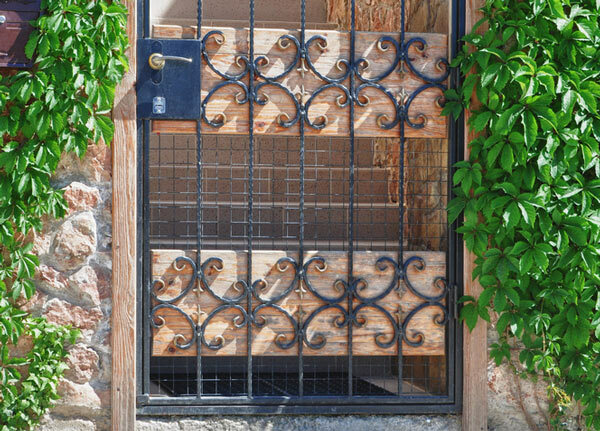 When we have finalised measurements and designs, we can begin to manufacture your wrought iron security door or grille. 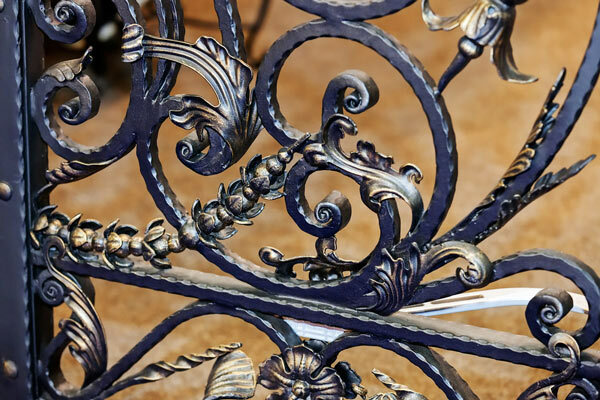 We have a team of expert blacksmiths who have been working with wrought iron for many years, so you can rest assured that your product will be finished to the highest possible standard of quality. Each of our wrought iron security installations are handcrafted and this allows us to ensure the upmost in attention to detail, so that your security door is functional and attractive. We will keep you updated throughout the process by way of progress photos during various stages of completion; you are also welcome to inspect the product in person during its construction. The team here at Dean Wilson Iron are not only well equipped to craft the perfect security solution for you; we are also experts at installation. We understand that the quality of your security door’s installation will have a direct bearing on its strength and the security that is offers you as a result. We take this into account during each of our installations and we ensure that your security door or grille is installed in a manner that ensures its strength, durability, and impressive visual appeal. If you are looking for the best, most unique security installations on the Sunshine Coast, then contact us today at Dean Wilson Iron. Photos of our work are available on our website and our Facebook page, and our expert team members will happily address any of your queries. #1 How secure are your doors? Our security doors are handcrafted from solid wrought iron, which means that they offer uncompromising strength and security. Wrought iron is renowned for its strength and can withstand enormous pressure and force. #2 Can you fit flyscreen to my door? We offer both Crimsafe mesh and fibreglass flyscreen mesh, so you can get the benefit of security against intruders and insects. We favour these types of mesh as they are more durable than regular nylon flyscreen and will not compromise the appearance of your door. #3 Can you craft a security door that will not make my home feel like a prison? We strive to combine striking and unique designs with unrivalled security and functionality, which means that we handcraft each of our security installations in a manner that meets the visual and security needs of our clients. We can create wrought iron security doors that will complement the ambience of your home and offer great security at the same time. #4 How long will my security door last without rusting? At Dean Wilson Iron, we take a number of measures to ensure that your wrought iron security door lasts decades without rusting. We sandblast all the metal, before applying a protective zinc coat and a decorative powder coat or hand-rubbed natural iron finish. This effectively safeguards against rust for decades.